Release day for my new book. :-) This is a collection of short stories, some reprints and some new to publication. It's available now from all good ebook sellers (and you would not believe how long I spent at the weekend tracking down All The Amazons). Full details including all those buy links are on the page for Stormy Nights on the Storm Duffy site, and you can see the cover below. I don't have an approved-by-publisher excerpt as yet, but will endeavour to provide some snippets over the next few days. So the countdown begins to the release of my short story collection. :-) Stormy Nights is now available for pre-order direct from the publisher's website and from all the usual suspects including SmashWords, Kobo, Barnes & Noble, iBooks, and the many and varied Amazons - UK, US, AU or search on your local 'Zon for the ASIN B073RRNKBD. Official list price is US$3.99. Looks like local prices are currently £3.09-£3.49 and AU$5.25 for the UK and Oz. 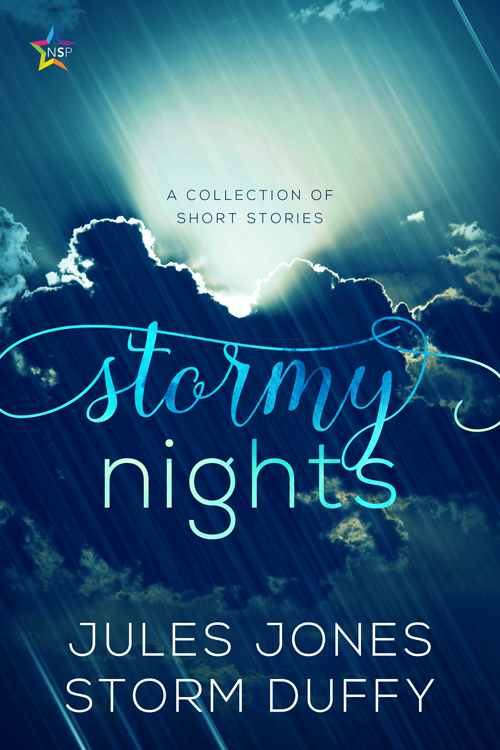 I have a short story collection, Stormy Nights, being published by NineStar Press on 24 July 2017. :-) For $3.99 you get 9 stories totalling some 45,000 words from both my pen names. The stories are a mix of reprints and new material, and cover a range of genres. You can find more information and pre-order it now at NineStar's own website. It will also be available later from the usual third party retailers.